This time we have chosen the book Laikmeta ritmi (The rhythm of our time), which was issued by the publishing house Liesma in 1981 in 25 000 copies. The authors of this 188 page book are architects Gunārs Asaris (1934) and Ivars Strautmanis (1932–2017), as well as photographer Laimonis Stīpnieks (1936). The book consists of black-and-white photographs portraying buildings, interiors and various elements of the urban environment – mostly in Riga – at times accompanied by layouts of buildings and neighbourhoods. The buildings are mostly objects of social importance – office headquarters, hotels, cafeterias, hospitals, etc. The photos were made from 1967 to 1974, when Stīpnieks, an architect by profession, took photographs of architecture for the Māksla (Art), magazine, as well as cooperating with the Chief Architect of Riga, Gunārs Asaris. “Seven years passed from the initial project to the finished book, because the publishing house kept postponing it, until the folder with my photographs got lost somewhere. It was accidentally found during one of the subbotniks (days of collective work) organised by the publishing house – it had fallen behind a cupboard,” recalls Stīpnieks, who is better known as a theatre photographer. “My competitive advantage was that I saw the surroundings and environment as an architect as opposed to a professional photographer,” comments Stīpnieks on his role in the project. 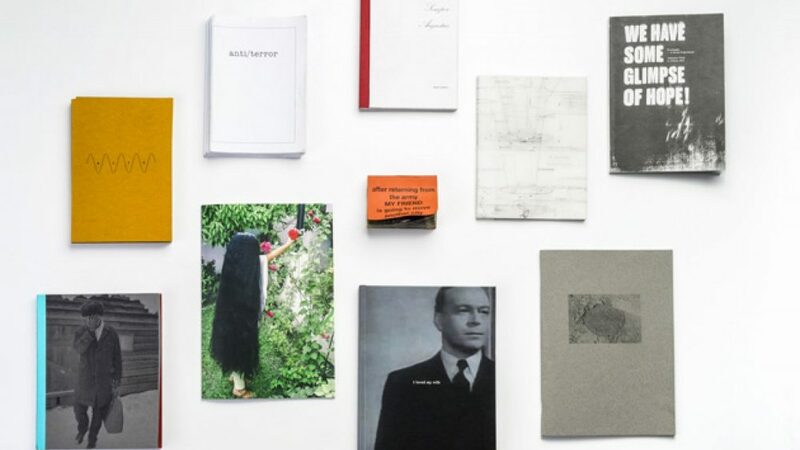 He remembers the book project as a time-consuming and agonising process. “The intention was to make a book with signs and symbols of those times, as well as of the times before. 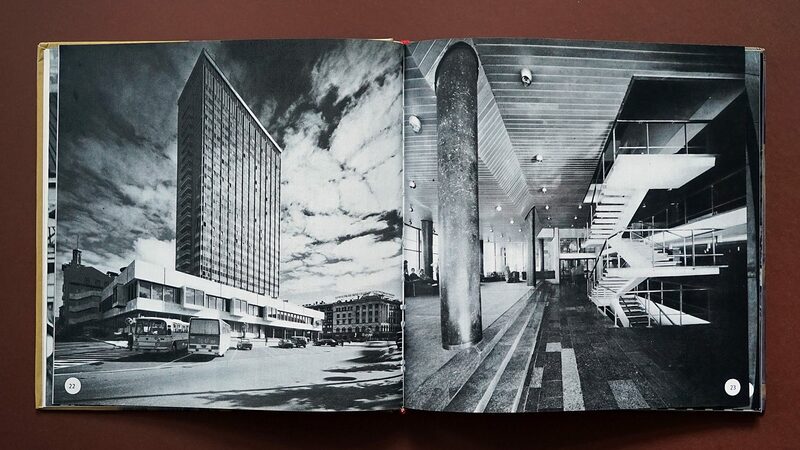 However, the respective institutions needed proof that these signs referred to the Soviet architecture, too.” The project, which was extraordinary for Soviet times, was curated by Ivars Strautmanis. The fact that both Strautmanis and Asaris had received the Lenin Prize – the highest state award in the USSR – helped to convince the respective institutions. 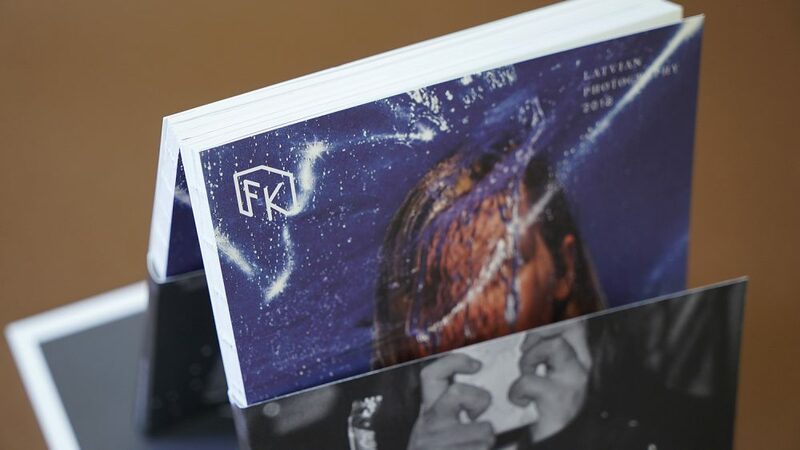 All three authors selected the images for the photography book; yet Stīpnieks did not have any say in terms of the design, because there were strict boundaries regarding professional responsibilities – the work of the authors was usually over as soon as the materials were submitted to the publishing house. The book is printed in intaglio, which brings out details while having an especially deep and saturated tonality. 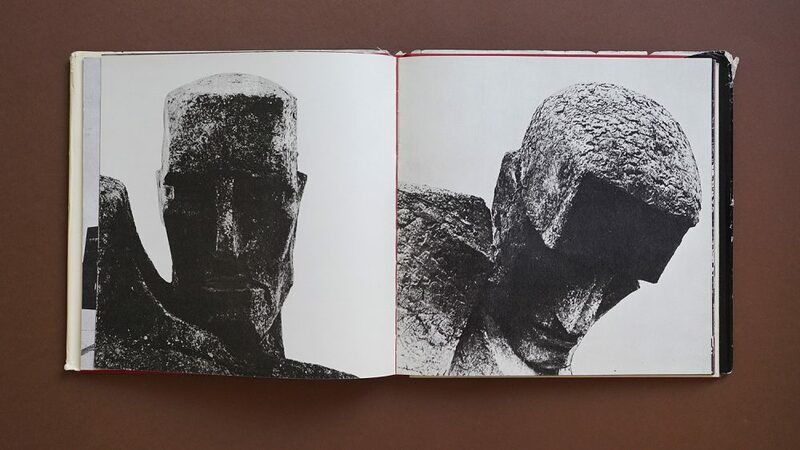 In several spreads, Stīpnieks’ images are specially arranged in order to create visual interaction between Soviet Modernism and the medieval architecture. The textual part of the book, available in four languages (Latvian, Russian, English and German) and written by both architects, presents both a problem – the rapid urbanization of Latvia – and a solution – successful work architecture and construction, which attempts to find harmony between new construction objects and old ones. Therefore, the photographs can be perceived as evidence that the urban planning is on the right track. Yet it is clear enough that the text of the book is written in a similar style to contemporary project proposals, in which powers of authority (funders, censors) are provided with arguments as to why the project is important. Taken apart from the text, the photographs offer an exciting and slightly surreal journey through the urban environment of half a century ago.